NOTtheBookstore.com was started by a Xavier University MBA student. One day he discovered that the same textbooks were available on-line at a much cheaper price than at the campus bookstore. So why would anyone buy from the campus bookstore? Well, the question was, "What books do I need?" And NOTtheBookstore.com was born! NOTtheBookstore.com is proud to team up with the Xavier University Marketing Club to come up with the marketing strategy for this site. It's a great partnership as there's no one more in touch with the target customer (students!) 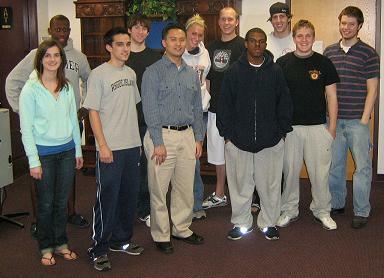 than the XU Marketing Club, and this is a great way to learn and do some real world marketing for a real world business!